Corporate Wellness Reporting at its Best: What Can it do for You? Corporate wellness reporting can help you better understand the current standing of your corporate wellness program and assess both its strengths and its weaknesses. This knowledge can lead to change. Change can be a good thing for many programs that need a revitalized approach and more innovative techniques. When these changes are made with the benefit of informed decision making, they will produce a more engaging, more successful corporate wellness program. There are several specific kinds of programs that can benefit from accurate and regular reporting. Depending on the size, type, and other various characteristics of your company’s program, Wellworks For You can help determine which areas would most benefit and create a plan of action that will be the most effective. Reports can be collected by creating and obtaining data on the standing of a program through surveys, cost analysis assessments, questionnaires and the like. Corporate wellness reporting can also apply to more specific areas like incentives management programs or health risk assessments. When Wellworks For You provides any client with corporate wellness reporting services, a certain sense of ease is the inevitable result. Knowing that this crucial task is being done by a successful, professional company can help your management sit back and relax. The pressure will be off their shoulders and they will be given the resources and information they need to make the best possible decisions for your company and its employees. 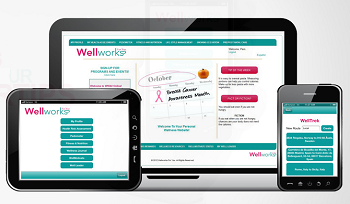 For years, Wellworks For You has been providing these services to clients within a wide variety of industries. Our staff knows what it takes to give every one of our valued clients the results they are looking for. When you choose our company to handle your corporate wellness program and reporting, you can be certain that there will be an increase in participation and that your program goals will be met. Our approach to wellness reporting is one of thoroughness and accuracy. Our final reports will always be based on complete information and we store and gather data through a state of the art, customizable wellness portal. This online “hub” for your company’s program is the perfect tool for data analysis and report generation. And it’s a tool that you’ll have access to when you choose to work with us on your company’s wellness initiatives.